China’s influence on Nepalese politics makes life for Tibetans there very difficult, reports Emily Korstanje. Tibetan refugees feel very strongly about their country, culture, and freedom. This is why it is so terrible for so many families that have left Tibet after the Chinese military took control in 1949. The Central Tibetan Administration and International Campaign for Tibet (ICT) says that before 2008 about 128,000 Tibetans made the very dangerous journey across the Himalayas. And more than 20,000 are now living in Nepal as refugees. But it is very difficult to find an exact number because there are so many undocumented Tibetans in Nepal. We think that between 2,500 and 3,500 Tibetans were coming into Nepal each year. But, after many big protests in Tibet in 2008, China made it much more difficult for Tibetans to cross the borders. And so only a few hundred people made the journey in 2015 and only 60 in 2016. 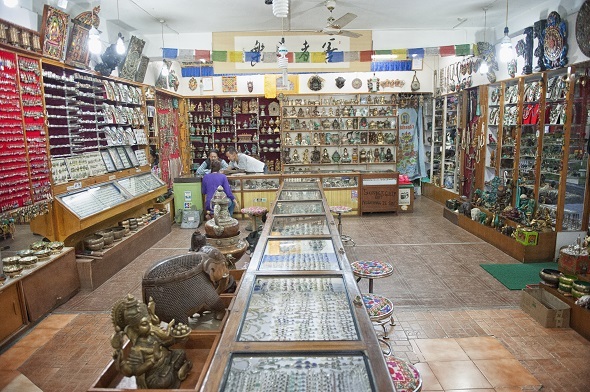 Tibetans in Nepal are famous for their beautiful shops filled with wonderful crafts and jewellery. One reason they have the shops is because it is nearly impossible to get Nepalese citizenship and they are not allowed to work for Nepalese companies. 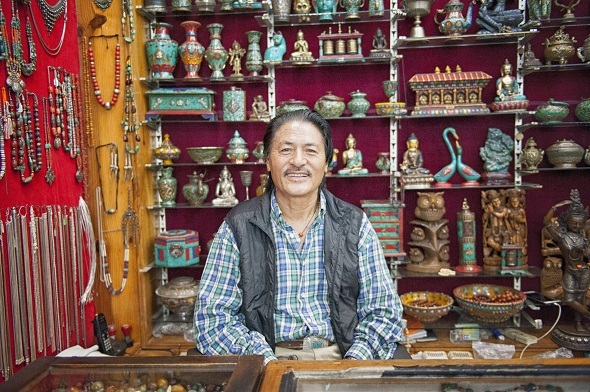 The only way they can make money in Nepal is to have a small business, selling on the street, or selling Tibetan products to tourists in their refugee camps. 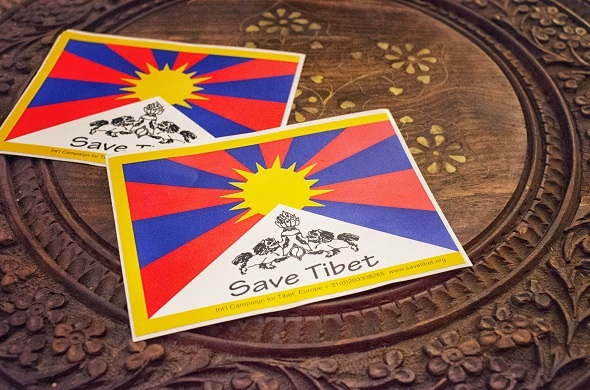 In the Tibetan community in Nepal, you will find many Tibetan flags with the words ‘Free Tibet’ in different languages and pictures of the Dalai Lama. They use them to show they want freedom, human rights, and the return of the Dalai Lama to Tibet. In Tibet if you speak against China or show the flags and the pictures, it can lead to prison, torture, and even death. ‘When China took Tibet, we had to run for our freedom. My family didn’t want to live in fear, so they made the dangerous journey through the mountains to Nepal,’ said a Tibetan shop owner. Like many refugees in Nepal, he was a child when his parents left Tibet in fear. He has lived in Nepal nearly all his life and his son was born there. ‘The Chinese military were waiting at the border and took my father. No one saw him again. We think he was in prison and perhaps killed,’ he said. The Chinese military have made it so difficult to cross the border and so Tibetans must find longer and more dangerous ways through the mountains. 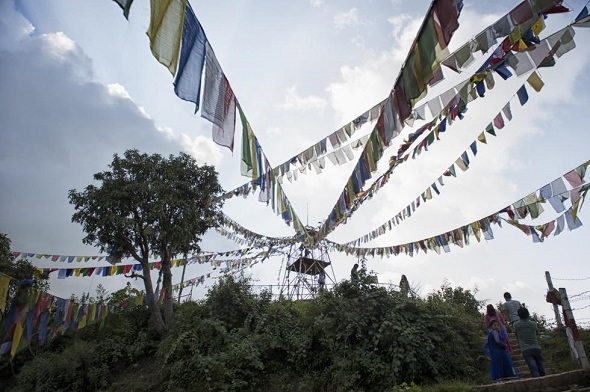 Nepalese border guards can deport Tibetans who try to cross the border into Nepal. 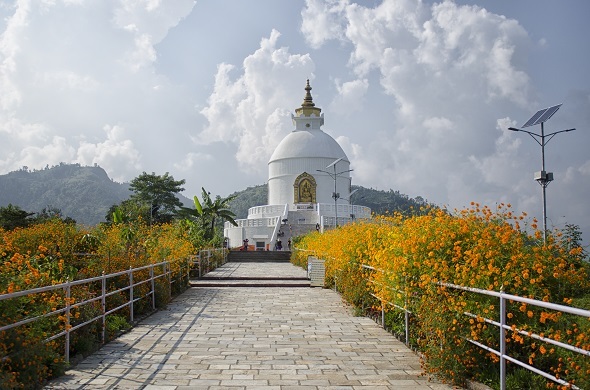 The Nepalese government has also stopped many NGOs in the country that help Tibetan refugees and those in India. The Nepalese government has stopped the U.S. plan to give Tibetan refugees the chance to live in the United States. China has a very strong influence over Nepal. Nepal’s government likes the communist state. In fact, the country’s 10-year civil war was led by rebels called Maoists after China’s communist leader. And Nepal suffers from India’s fuel blockade, but they are hoping to make stronger links with China. Because of this very important relationship with China, during Tibetan Buddhist holidays Nepalese soldiers walk through Tibetan refugee camps to make sure there are no protests against China. Tibetan refugees cannot take part in peaceful protests. This is a big problem for the many refugees who want people in Tibet to know about injustice in their country. Tashi* is a Tibetan refugee. He lives in one of Pokhara’s camps. He said, ‘A few years ago we wanted to silently walk around Pokhara Lake with “Free Tibet” signs but the Chinese government told Nepal they must stop it,’ During the protest Nepalese soldiers stopped it and pushed through the silent protestors, threw down their signs, and shouted at everyone to go home. ‘Some of the tourists ran to us and started to cry because they saw we were protesting peacefully. They knew we were not there to harm, but to support our people’s rights,’ Tashi said. Many Tibetans were born in the refugee camps and have spent all their lives in Nepal. They do not have passports because Tibetan parents cannot register their children’s birth. People do not accept them in Nepal and think they are second-class citizens. These refugee children feel trapped with no form of identification. 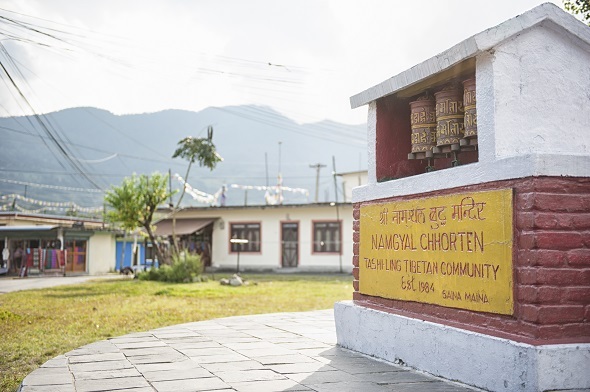 As China’s influence increases in Nepal, Tibetan refugees suffer more control – the reason why their families left Tibet. One of Nepal’s Tibetan camp leaders and a social worker said that Tibetans in and out of Tibet will not be safe or free if China continues to control Tibetans.
.*This is not his real name.